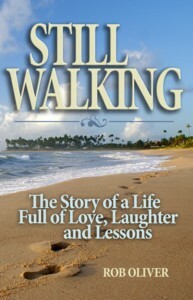 Rob's Book - "Still Walking"
Rob's Info on "One Sheet"
Rob has been speaking to school students for over 16 years. He relates well to kids and as a result, his message sticks. Rob offers two different presentations for school students. If you are interested in having Rob come to your school, use the contact form. It is important that you include the specific dates that you are interested in as well as the grade levels of the audience.